A correctly formatted Large Print book is a thing of beauty and a pleasure to hold in your hands and read. Every element in a properly formatted Large Print edition is considered. 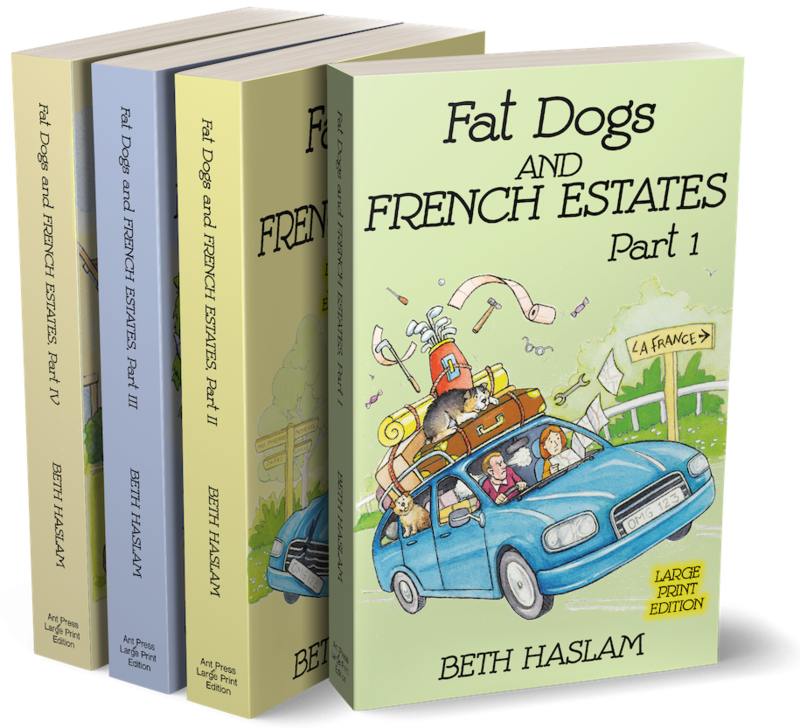 This includes chapter titles, page numbering, headers and footers. There are fewer words on each line, and not as many lines on a page. However, the outside margins may be narrower than a regular book, while the central gutter may be wider to accommodate a greater number of pages. 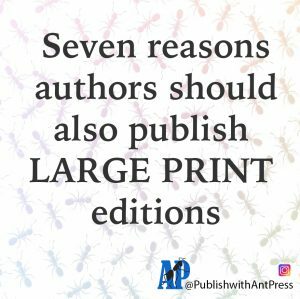 Ant Press produces beautiful ebooks, paperbacks, and now offers authors Large Print options, too. If you are choosing to self-publish, we can do all the formatting and hand you the finished files to upload to KDP. Amazon sells Large Print books alongside your ebook and regular paperback. Books on Amazon’s KDP Expanded Distribution are also available to libraries. Libraries are always looking for Large Print books to stock. Did you know (on average) books are replaced by libraries after every 27 borrows? Older folk often don’t enjoy reading ebooks, and struggle to read regular print books. As the population gets older, the demand for Large Print books is ever increasing. It makes sense to add another book, and another potential source of income, to your list.